By Maliq Okoye's count, getting hired as a financial researcher for Brooklyn Capital Management, an obscure and unusual venture capital firm located away from the Wall Street establishment in Brooklyn, New York, was his second real break in life. Nearly three years later, however, he finds his career has stalled while his most cherished friends, also employed by Brooklyn Capital, have made the leap into the enigmatic Special Operations division and, it seems, begun to distance themselves from him. To top it off, his nine-month-old relationship with his girlfriend is on the rocks. As Okoye's demons from his troubled youth in Brooklyn continue to resurface, his old friends, Lukas Dvorak and Lyn Lee, offer a professional life line, but for a severe price. 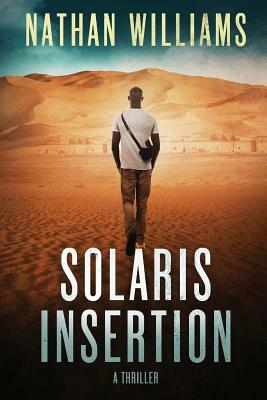 A dangerous and unprecedented new terror network has emerged in North Africa, and Charlie Monroe, the founder of Brooklyn Capital, and the CIA are looking for an agent with just the right skills--and just the right moxie--to infiltrate the network. As Okoye risks his life in Africa, the others follow the trail of evidence to locales in Eurasia, Europe, and the Middle East in a bid to end the threat before it grows too large to contain and the holy war begins in earnest.